The winning band Back row: David Beacham, Alan Hartley, Colin Andrew, Robert Havard David Franklin. 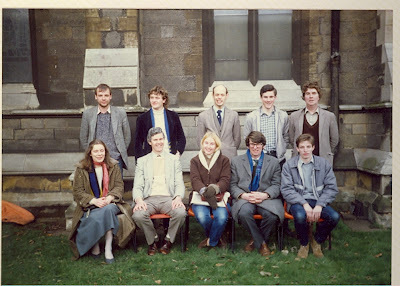 Front row: Richard Clements, Michael Clements, Phillip Orme, Michael Hansford, Jill Hansford. The Ninth Annual W. W. Worthington Memorial Ten-Bell Striking Competition was held at St. Paul’s church, Burton-on- Trent on Saturday 12th April. The fine weather once again meant the ringers and friends were able to listen to the ringing from outside. The draw was made at 2 p.m. by the vicar’s warden. The test piece was a course of Cambridge S. Royal, judged throughout. During the competition the bells of Yoxall (6), Hoar Cross (6 ­28cwt.) and Newchurch (Needwood – 5) were open for general ringing. 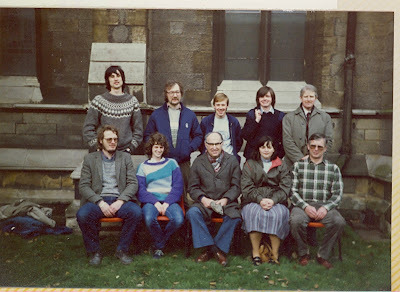 Those who had not been to Newchurch before probably got a bit of a shock – they are 1,2,3,4,6 of a six! Where the fifth got to nobody seems quite sure. For the second year the ladies at St. Paul’s did a magnificent job of filling the inner man with refreshments during the afternoon. 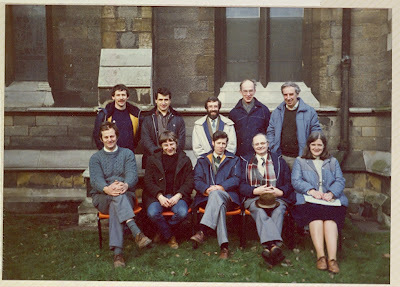 Ringing was over at 5.30 p. m. and the very large number present were kept waiting until quarter past six for David Friend and Andrew Mayes, the joint judges, to appear and give their results. It was obvious that the ringing had taken a great deal of sorting out. Andrew Mayes gave preliminary remarks on the ringing of each band, including speed and general overall impression. David Friend then announced the faults which were: 1st – Worcestershire and Districts Association 105 faults; 2nd – St. Martin’s Guild (114); 3rd – Midland Counties Guild (136); 4th – North Staffordshire Association (204); 5th Lichfield Archdeaconry Society (213); 6th – Derby Diocesan Association (240). The Worcestershire and Districts Association therefore win the trophy for the second year running and the third time in all. It was presented to the Captain of the winning band, Richard Clements, by the curate of St. Paul’s, who then thanked all those present for creating such an enjoyable day. Many then adjourned for an hour or so to the “Star and Garter” to round off the day. Next year’s competition will be on 11th April 1987. If your Guild has not entered before please think about getting it to do so when the adverts appear in The Ringing World in November, although it is first-come first-served with a maximum of eight bands. B.M. 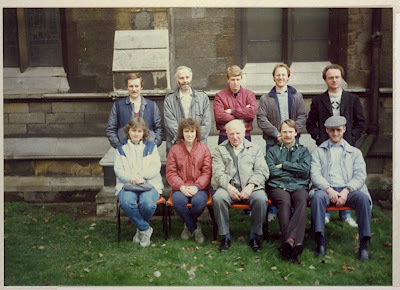 Paul L Carless, Richard L Jones, Frances Dodds, Roderick W Pipe, Mary T Rees, Paul E Bibilo, Paul Needham, Maurice F Edwards, David J Pipe, John McDonald. 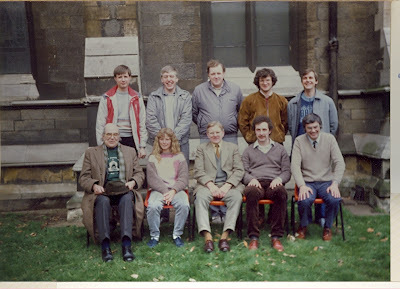 Margaret Jones, Norman Sherratt, Harold Dowler, Brian L Burrows, Philip W Gay, Christopher Adams, Selwyn G Jones, Raymond J Ballard, David J Midgley, Ralph B Mitchell. 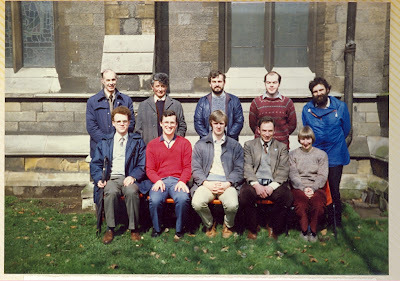 David J Marshall, Jane E Orchard, Gordon A Halls, Frances E Haynes, Simon Humphrey, Roy A Meads, C Frederick C Pearson, Steven Peers, Alan Rowe, Steven D Chandler.